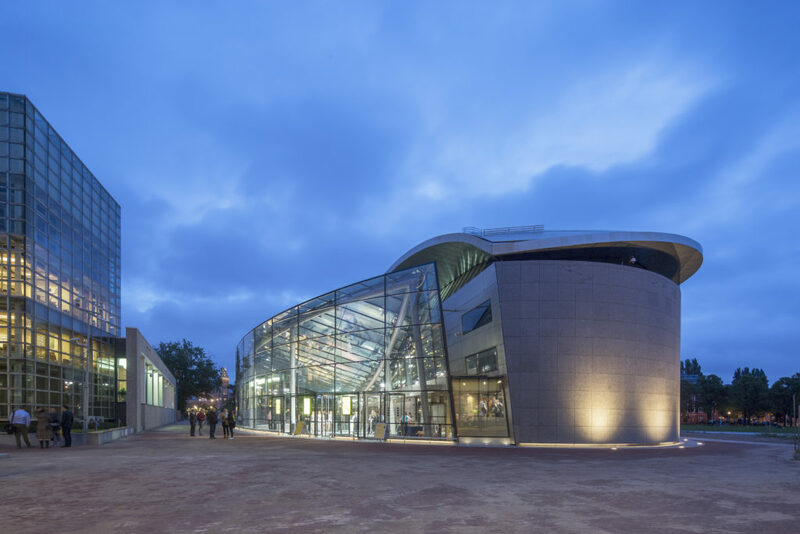 In 1999 Kisho Kurokawa architects & associates designed a new wing for the Van gogh Museum in amsterdam. Part of this wing comprises of a large pond on basement level. The pond has been incorporated as part of a stunning new entrance. 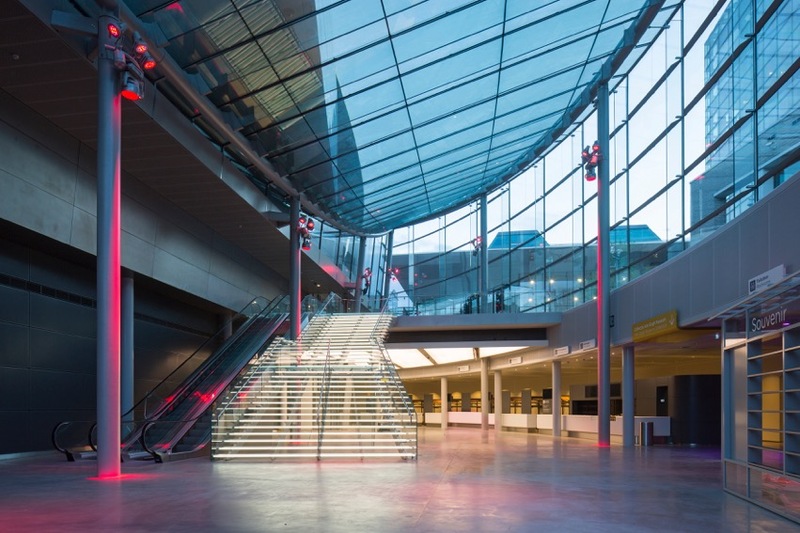 The Van Gogh Museum’s new entrance is designed by Kisho Kurokawa & associates and was further developed by Hans van Heeswijk architecten and Octatube. 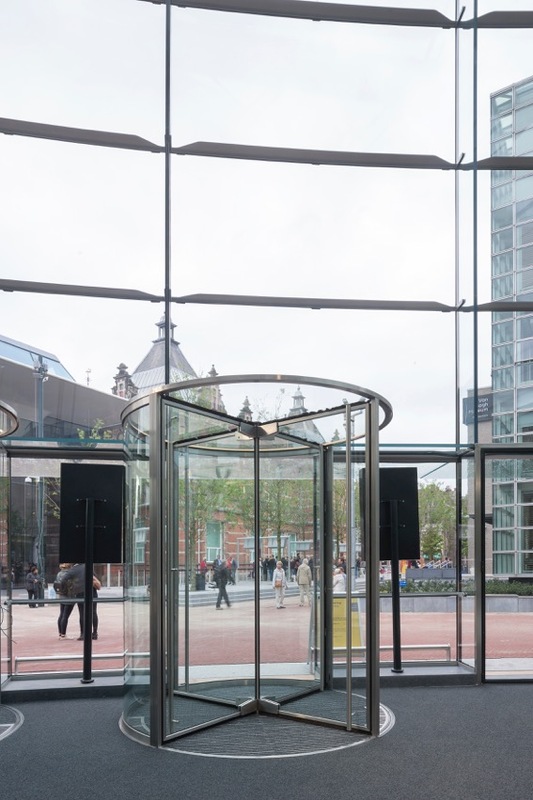 The full glass revolving doors, designed and built by Bauporte, are incorporated into the design, in collaboration between Octatube and Bauporte. 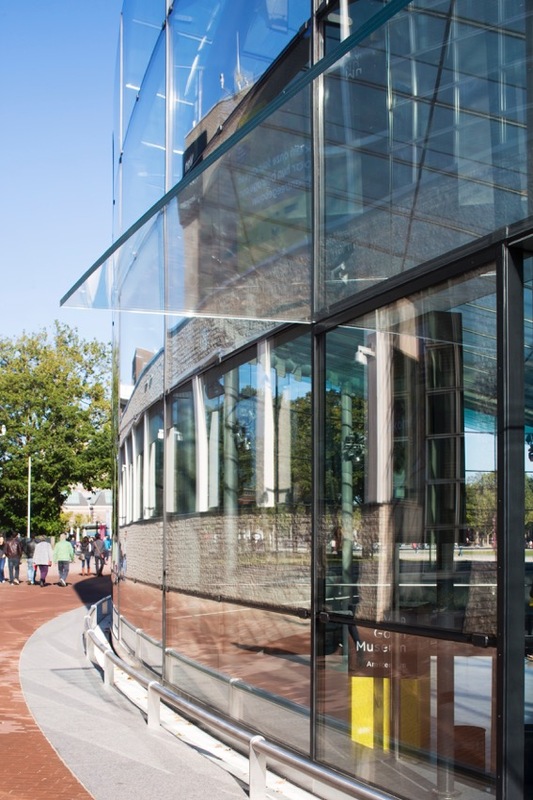 The state-of-the-art glass structure complements the curved and elliptical shape of the Kurokawa wing, while connecting it to the original museum building designed by gerrit Rietveld. 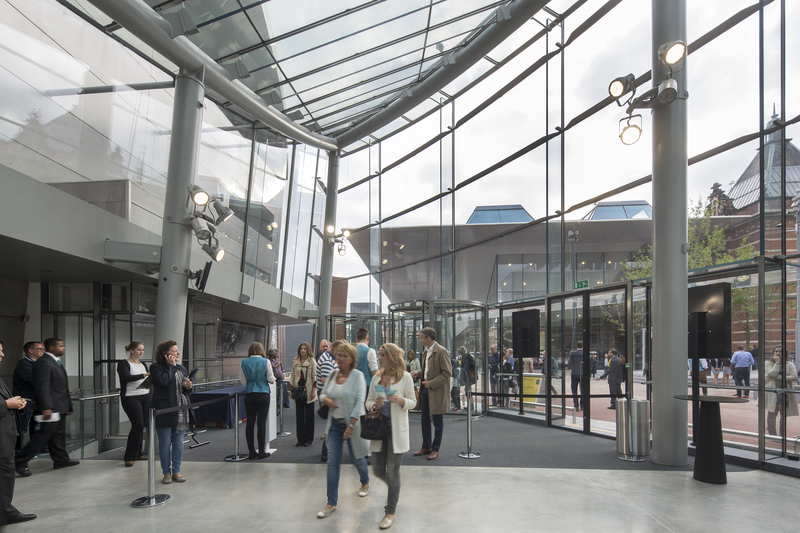 Bauporte was responsible for the technical design, engineering, production, installation and maintenance of the transparent revolving doors, defining the identity of the transparent entrance building. 2,100,000 Visitors a year are entering and exiting out through the bauporte revolving doors, the doors are working constantly 365 days a year. The stainless-steel construction, long life bearings and glass will ensure that the doors will fulfill their job for a lifetime. 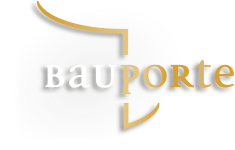 Bauporte Maintenance provides a quality service which prevents call outs. 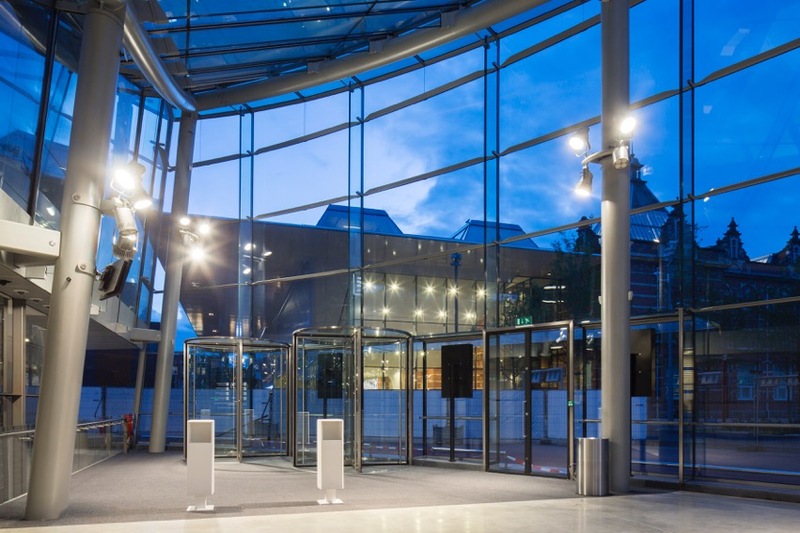 These full transparent manual revolving doors CFfV 2500 MX NSWM RC2 provide entrance and exit points out of the crowded museum. The certificated sophisticated NSWM night closure system protects the museum out of hours against any unsolicitous behavior, achieving class RC2 resistance compliant to the EN 1627 standard. The in-ground heaters prevent draught entering the building and keeps the entrance comfortably warm on cold days.